Welcome to CancerFactsMD.com, your one stop web site for information about all types of cancer disease. We have collected a wealth of information from latest national researches, qualified MDs and medical professionals to share with you. Whether its information about early cancer signs and symptoms, treatment, facts, or general forms, we provide informative health articles covering all these aspects. Cancer disease is the general collection of diseases that are caused by abnormal, uncontrolled growth, metastasis, or an invasion in a group of cells. The most common cancer diseases in men and women are reported by the National American Cancer Society (ACS). The most common cancer forms were determined based on the highest number of occurrences from the ACS research and statistical data. Bladder Cancer overview – 15210 deaths in 2012. Breast Cancer (Both Male & Female). Colon and Rectal Cancer – Combined. Endometrial Cancer – The facts. Kidney Cancer and Renal Cancer. Lung Cancer facts and statistics (Bronchus Included). 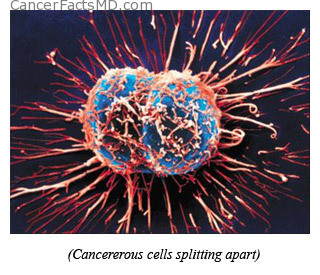 Usually cancer is caused by cells that lose their ability to regulate themselves and start growing in unstructured ways. It is still unknown why it happens, but we know what can increase cancer risks. Some diseases such as high blood pressure (or hypertension) can raise cancer risks. Also age, race, family history (if anybody in your family was diagnosed with cancer or not) helps to understand is you are part of the risk group or not. More detailed information is available at specific cancer pages. The above links to major cancer types provide more information on cancer symptoms, as well as other cancer facts and figures 2012. Typical cancer treatments consist of chemotherapy, radiotherapy, hormone therapy, biological therapy, drugs, and bisphosphonates to name a few. Chemotherapy is one of the most commonly used cancer treatments and the phrase chemotherapy literally stands for “cancer drug treatment”. The term simply means treatment by way of cell killing drugs (also known as cytotoxic drugs). Treatments on initial stages of cancer are much more effective than on final stages, it why early detection is important. If you are diagnosed with cancer, cancer support groups are a source of support and cancer information. Many groups specialize in certain cancers, providing specialized expertise and information, such as on childhood cancer facts. Events: February 4th of every year is World Cancer Awareness and Prevention Day, you can help us – please tell your friends about this disease at this time.